An overall excellent service provided for our father’s funeral. It was very reassuring to have O'Hara take on a lot of the organisation required to prepare for the funeral and for their highly professional support on the day of the funeral - Dad would have liked the attention to detail. Thank you for helping to make it a good problem free day. Good care and attention to detail, sensitively handled. We can’t thank O Hara’s enough for their outstanding and caring service. What a delightful family of funeral directors. Their kindness ad attention to detail is second to none. They were faultless from start to finish and we shall definitely be recommending them in the future. Special thanks to Anthony O Hara for his understanding & professionalism and Rob Hazel for his incredible ability to soften the sorrow of that sad day. I cannot fault the service provided by O’Haras. 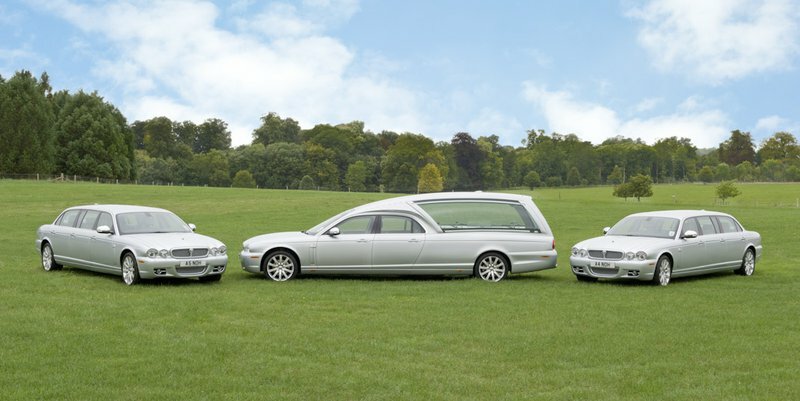 Very professional and the funeral went without a hitch despite being organised over the Christmas period. Sincere thanks to all concerned. Just incredible in every way. World Class ! Excellent throughout. Very helpful during this difficult time. Everything went smoothly and we received a very professional service from the beginning. I would highly recommend Nicholas O'Hara to anyone. Nic was fabulous the whole team were. Very sincere and professional. Thank you guys. Excellent service, respectful and courteous at all times. Nothing was too much trouble, thank you Rory and team for the personal service, highly recommend. My family and I were very happy with everything on the 9th of August.I cannot fault in any way.I must mention Chris Antil who was fantastic,and made a very difficult day for us a lasting memory. And of course Chris Johnson who was excellent in every way. Thankyou to every body involved. I chose O'Hara's to prepare my Mother's funeral just last year, and was astounded by the level of service given. It was therefore an easy choicer to go back to them for my Father's funeral just days ago. The Staff are wonderful. Rory was assigned to us and his level of knowledge, calm manner and politeness knows no bounds, we found him utterly charming and the way he calms one's nerves before and on the day is a fabulous help. The cars they own are absolutely stunning, comfortable and not depressing as I have found with the black cars. The help provided with the planning process was brilliant, attentive and again professional. Nobody was pushy, or trying to upset at all ever! The little touches mean a lot, like the tissues in the car doors which had a beautiful one liner on them saying that sometimes a memory escapes from the eye and rolls down the cheek, and the little credit cards for purses/wallets , which have Dad's beautiful photograph from the service sheet on them as a keepsake which were left behind for us to find the day after the funeral. The Salvation Army carried out our service and the Major conducting it commented herself on how professional they were, and gave them extra thanks because Rory even carried her umbrella from the arrival room through to the exit room something which she's never had done before!! All this makes for a wonderful professional company who I can't praise highly enough and would have NO hesitation in recommending to anybody. Please book them, you will NOT be disappointed. Thanks to all concerned. We were very happy with the service provided and the endless kindness and patience we were afforded at a very difficult time in our lives. Rory ensured we had nothing to worry about for Dad’s funeral, making a difficult time more bearsble. Chris made the service very personal to us. His tribute to Dad was spot on! They both helped to give Dad a lovely send off. Thank you. I wouldn't hesitate to recommend Nicholas O'Hara. I feel my Dad was treated with respect and I was supported every step of the way. A very caring and professional service. Both Chris Johnson and Chris Antell guided me through what I needed to do at a difficult time and helped me arrange my Mother’s funeral according to her wishes. Totally professional in every aspect of my mother’s funeral just as they were with my father’s and my aunts. I can not recommend them highly enough. Nicholas O’Hara have handled 3 funerals for us in less than a year. On each occasion they have helped us, as a family, to provide a fitting final tribute to the much loved people we have lost. Everyone we met, either in person or on the telephone, was always most professional and friendly; they were all a pleasure to deal with at a difficult time. The funeral for my dear husband was very dignified and everything was just as perfect as it could be. I know Nick would have been very proud. Very understanding, courteous and helpful at every step of the way. It's never nice to have to go through a situation like planning a funeral but Nicholas O'Hara made it as stress-free and straight-forward as possible. The team at Nicholas O'Hara were very helpful and kind throughout the whole process, and the funeral itself was organised efficiently and sensitively. We were really happy with the service they provided, and would certainly recommend them. Could not fault the staff, they were very caring & the attention to detail was magnificent. My daughter and I could not have asked for better people to help us with this difficult time. 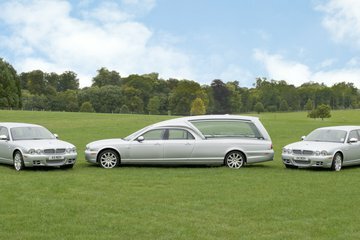 Nicholas O'Hara Funeral Directors Ltd, West Moors will provide you with a free obituary as part of their service.